Hi scrapbook friends! I'm happy to be back over on the Doodlebug Designs blog today! The design team is having fun with a color challenge this week, and we were also asked to choose a past project that has inspired us. I picked Blue Jean for my color, and chose one of Melinda Spinks beautiful layouts as my inspiration piece. 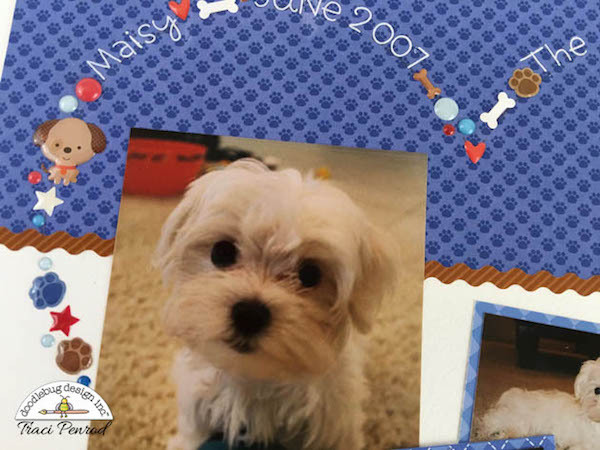 This is my sweet girl, Maisy, when she was just 12 weeks old. And here is Melinda's layout. I love how she always uses embellishments in unique ways on her layouts! 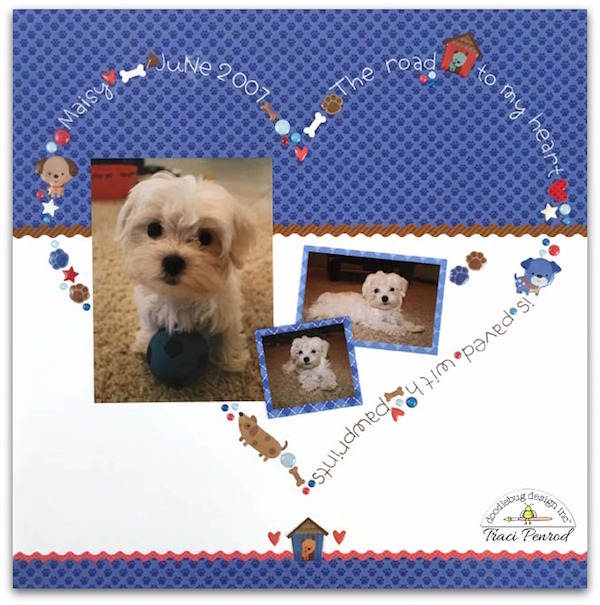 For my layout, I used the new Puppy Love collection, and lots of adorable shape and dot sprinkles. For my title, I used trio rubons. They worked perfectly for following around my heart shape. 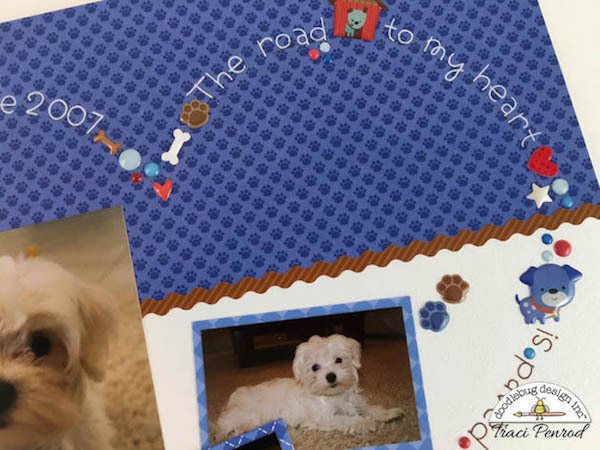 So hop over to Doodlebug this week and check out all of the fun projects the design team has been creating! Happy scrapping!